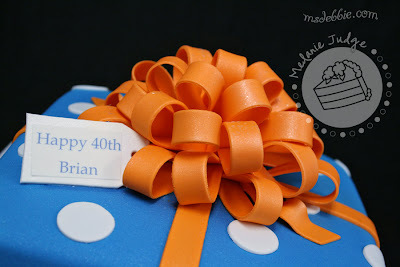 I'm behind on editing my cake photos again so I'm down to slim pickings for posting...but I like this cake so I don't feel like you're getting gypped! 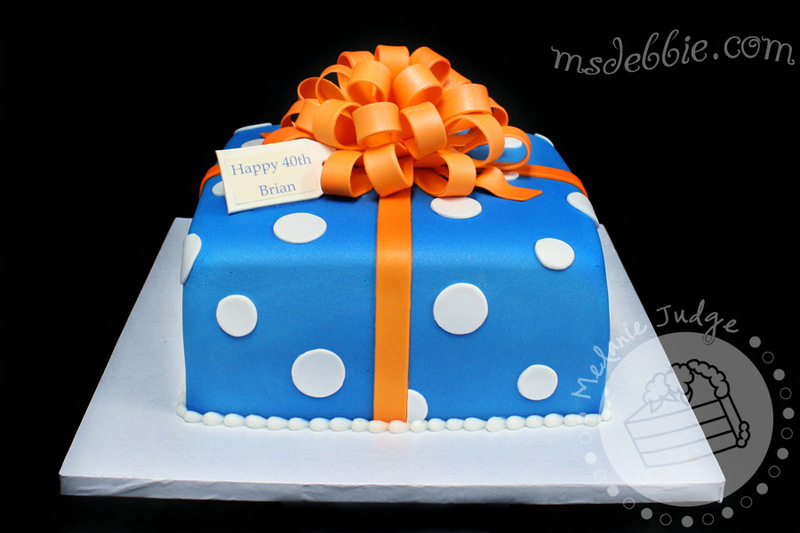 It's just a simple square cake covered with blue fondant, topped with a fabulous orange gum paste bow, and decorated with white polka dots. What better way to say "happy birthday" than with a cake that looks as good as the gift pile! And it tastes SOOOO much better.